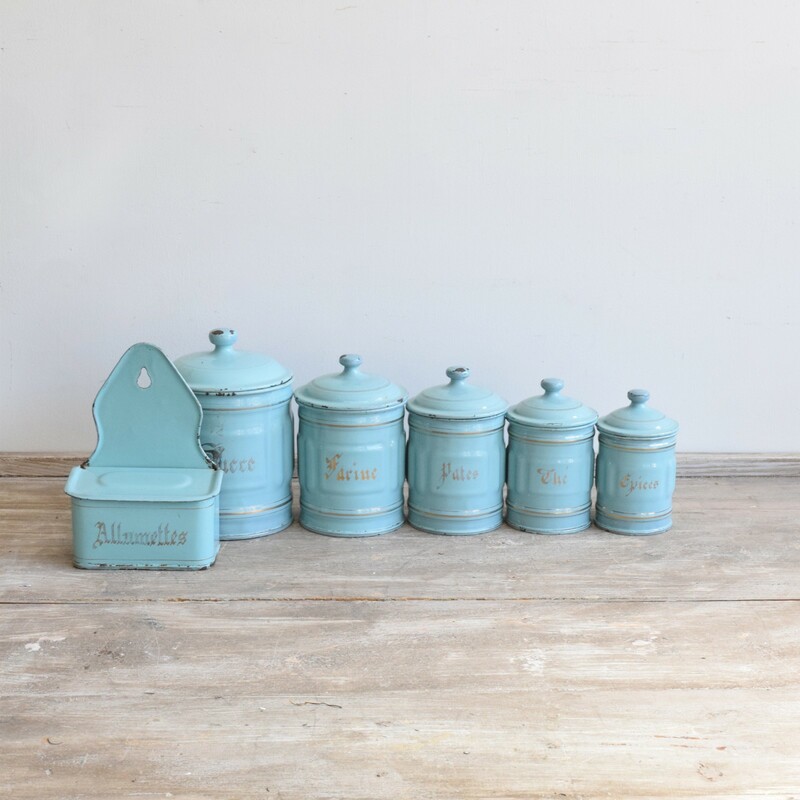 This is a complete set of vintage French enamel pots. Dating from the early 1900s they are an elegant kitchen addition. The pots are labelled as follows: Sucre, Farine, Pâtes, Thé, Epices and Allumettes.